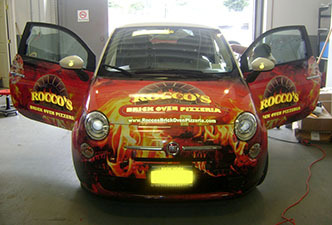 Half Wrap. 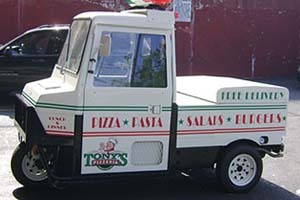 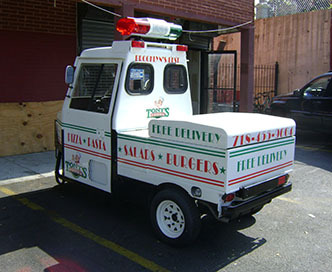 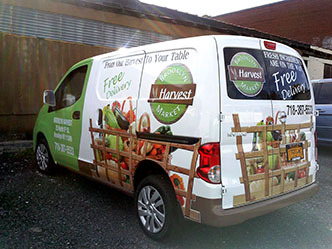 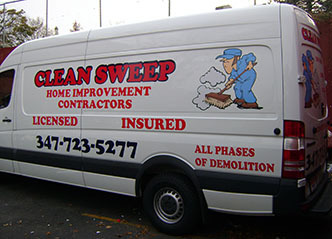 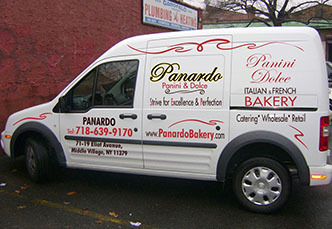 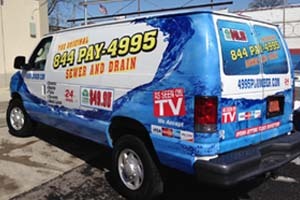 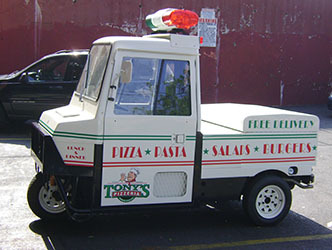 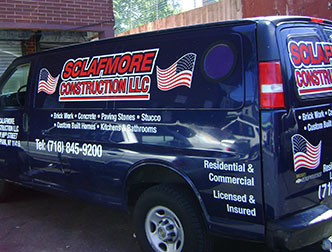 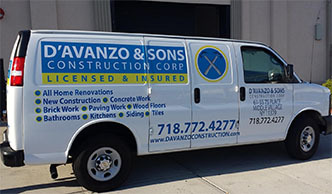 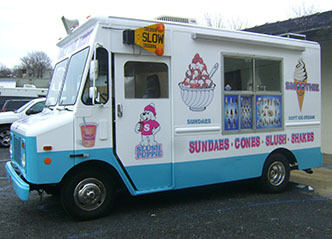 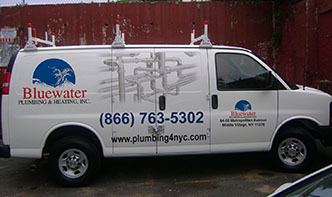 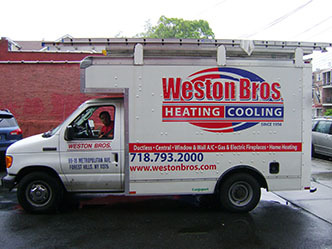 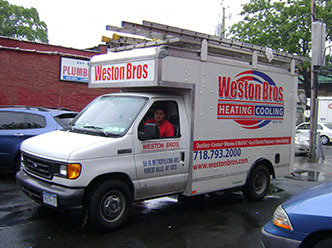 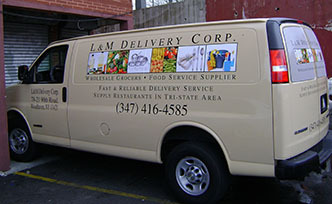 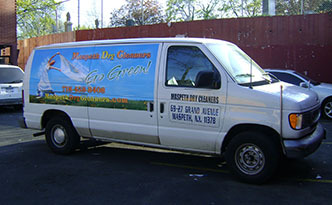 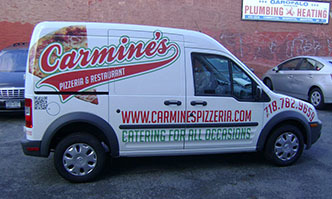 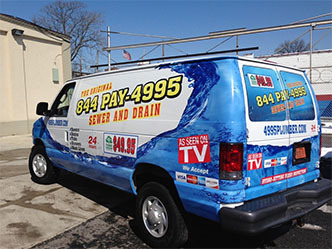 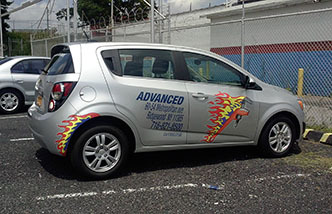 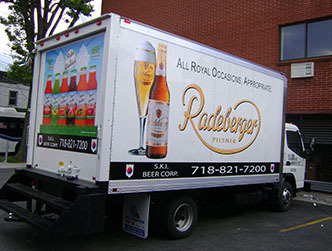 This is an option when full color photo realistic images are combined and printed with letters and graphic elements and put on the vehicle as continuous solid film. 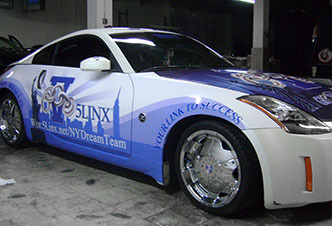 The difference between Half Wrap and Full Wrap only in the percentage of coverage. 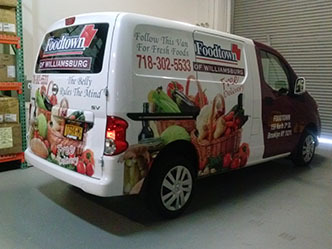 If Full Wrap covers the vehicle completely, Half Wrap usually covers lower half. 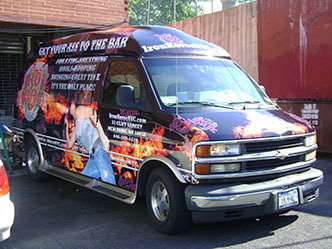 Some designs utilize rear halves, nose or even upper portion of the vehicle. 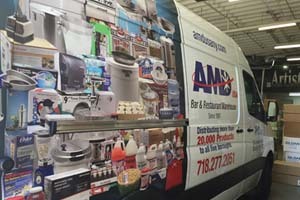 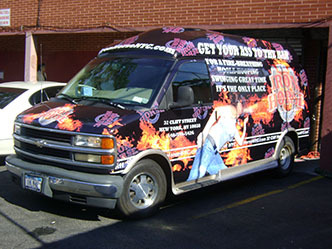 The bottom line is that Half Wraps let customers have very impressive imagery on their vehicles without spending top dollars for Fully Wrapped extravaganza. 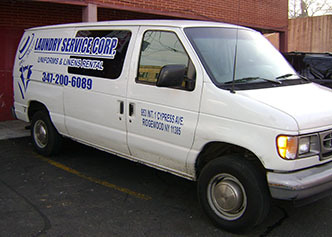 This method will require removal of certain parts of the vehicle, such as door handles, moldings, etc. 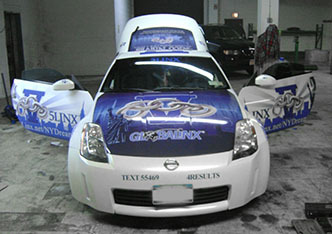 during the installation (those parts will be put back once wrapping material is applied). 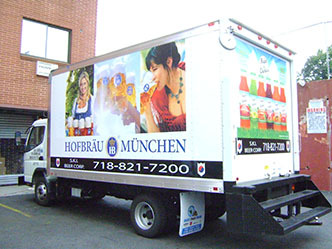 You always have a choice to have more economical solution such as All Around Lettering or the most prestige option of Fully Wrapped front runner. 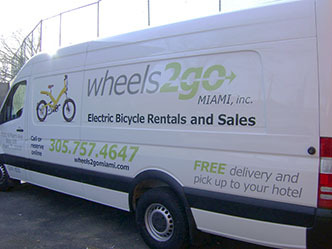 Bring in your car, van, pickup truck or bus. 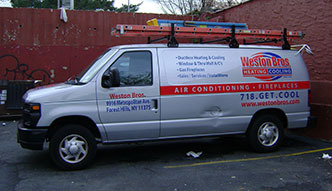 We have a large parking lot. 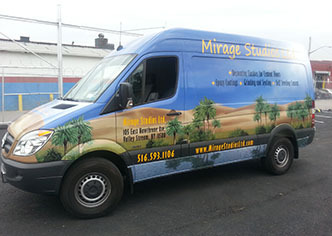 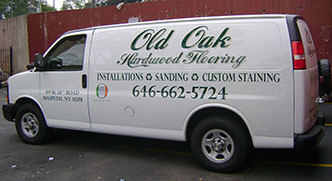 We will take pictures and measurements and will create artwork specifically for your vehicle. 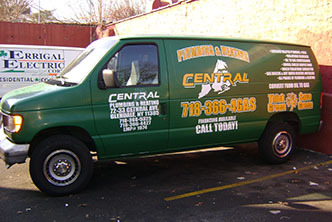 We are located in Glendale, Queens, NY (see the map). 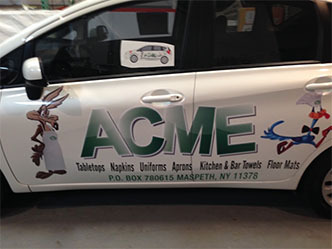 It doesn’t matter which borough of New York City you are driving from, Manhattan, Brooklyn, Queens, the Bronx or Long Island, all the roads lead to Artistic Stitch. 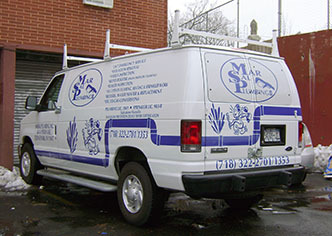 Give us a call at (718) 416-1380 or stop by Artistic Stitch, and we will help you to make the right decision.